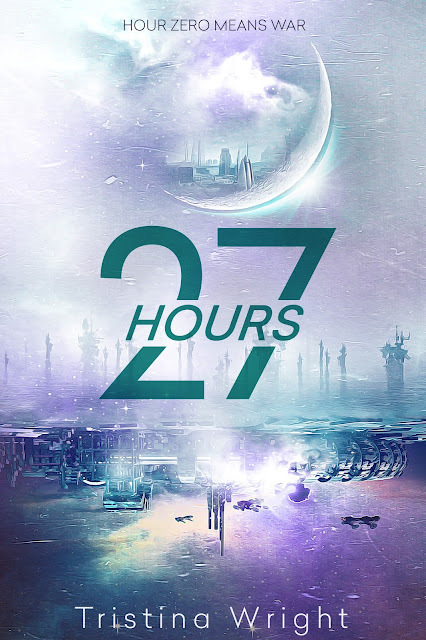 I am so excited to participate in the cover reveal for one of the most anticipated YA novels of 2017, Tristina Wright's 27 Hours. You may have seen this one being affectionately referred to by the author on Twitter as "Queer Teens in Space." I've been eager to see the cover for this one, and it did not disappoint. Behold! About the author: Tristina Wright is a blue-haired bisexual with anxiety and opinions. She’s also possibly a mermaid, but no one can get confirmation. She fell in love with science fiction and fantasy at a young age and frequently got caught writing in class instead of paying attention. She enjoys worlds with monsters and kissing and monsters kissing. She married a nerd who can build computers and make the sun shine with his smile. Most days, she can be found drinking coffee from her favorite chipped mug and making up more stories for her wombfruit, who keep life exciting and unpredictable. Still trying to figure out the mermaid thing. You can order your copy on Amazon or Barnes & Noble. Find the author on Twitter (@TristinaWright) and at TristinaWright.com. Thanks to Entangled Publishing for letting me feast my eyes on this cover and share it with you!